Popular Abuja prophet, Bro. 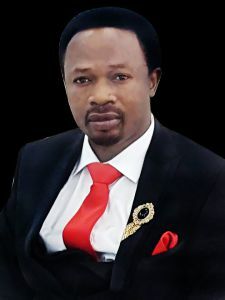 Joshua Iginla, who first predicted the sudden unscheduled medical trip of President Buhari during his yearly prophesies in Dec.31st, 2016 has sent another prophetic warning to his Excellency. Brother Iginla, as he he fondly called by his teeming congregation said President Buhari should adhere to medical advise and not allow politicians to play politics with his health. 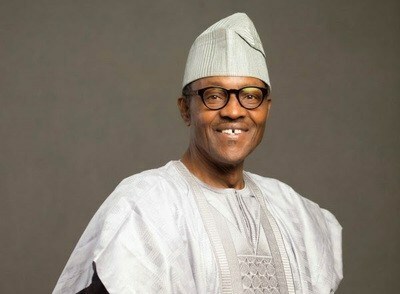 The amiable clergy who said he saw the vision while in South Africa today also raised congregational prayers for him. In his words, " I have a prophetic message for the president which God gave me while in South Africa. No president becomes a president without the hand of God, either by permissive or perfect will. When GOD puts anyone there, it's for a purpose. “I saw a vision where people hurried him to wear the boot and come home only for him to be rushed back. The reason is because there was an unfinished business medically. Let your persecutors persecute you and say whatever they wanted to say but make sure you give your health attention. It’s only the living that rules. The throne is yours and nobody can occupy it. That's why you must stay alive". It would be recalled that Iginla, in his 73 prophetic insights for the year, had said that the President would travel out for an unscheduled health checkup, but this time, it will be more serious. True to his words, the 8th prophecy out of his 73 point 2017 predictions came to pass. Below is the specific prophecy by Pastor Iginla. Recall that Buhari was on a 10-day vacation in the United Kingdom but, his stay has been extended indefinitely due to ‘health issues’.